"I'd like to engage him on Marikana, and then him [Ramaphosa] and I could talk about public engagements because Marikana is still there," Mashaba said. The mayor was speaking at a media briefing after he was prevented by angry Alexandra residents from addressing an Independent Development Plan (IDP) session at the Marlboro Community Centre on Monday. Ramaphosa visited Alexandra last Thursday, where he told residents that he had formed an inter-governmental team to meet Mashaba and iron out a plan to solve service delivery challenges in the area. He also urged Mashaba to visit Alexandra, and not address service delivery issues from his offices. 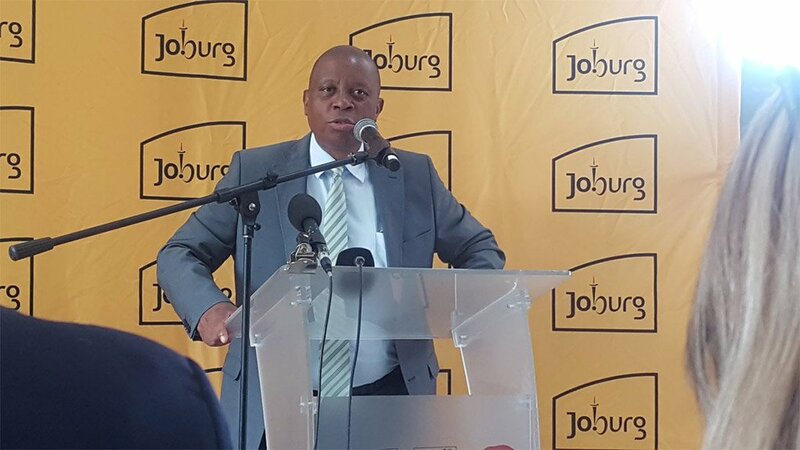 Mashaba has been critiqued for not meeting with the residents sooner after protests over better services and improved living conditions broke out two weeks ago. Mashaba responded, saying that "not attending a meeting with residents at short notice" cannot be compared with Ramaphosa's "lack of public engagement with the families of the slain men from the Marikana Massacre". Ramaphosa was a non-executive director of the mining company Lonmin when police opened fire on striking mineworkers, killing 34 people on August 16, 2012. On the eve of the shooting, Ramaphosa allegedly said in an email discussion between Lonmin management and government officials that events around the strike "are plainly dastardly criminal acts and must be characterised as such". On Monday evening the IDP session with the Alexandra community was cancelled after Mashaba and his entourage were pelted with paper and empty water bottles. The residents were only prepared to listen when their leaders handed over a memorandum demanding services and the eradication of the mushrooming informal tin houses and illegal land grabs. "You politicians must stop pointing fingers at each other. We want service delivery," the memorandum said. After the memorandum was read, angry residents broke into chants, and booed Mashaba. "Let's not describe this as an Alexandra protest. This is an African National Congress-orchestrated violent protest to make the city ungovernable," said Mashaba at the briefing shortly after the meeting came to a halt. "They are having sleepless nights when they now see that Gauteng may be going, and now they use this as an election tool," continued Mashaba. He said some ANC councillors asked him to apologise for claiming that the protest was fuelled by their party, but the mayor declined. "It is [the] ANC who used state resources to get the president here last week... I said no, I won't apologise". "If Archbishop Emeritus Desmond Tutu was in good health, I'd ask him to pray for the ANC in the City of Joburg... we need holy intervention in the city," added Mashaba. The mayor said that he will deal with the challenges raised by residents which are in the city's competency, and will further engage the national and provincial government to fast-track the housing backlog in the area.